A long day to begin the annual celebrations at the Feis Ile. 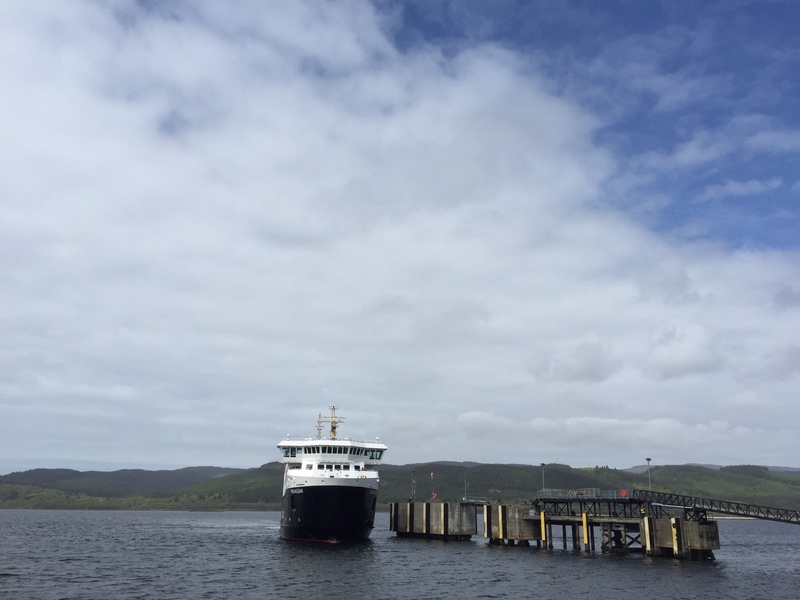 We left Birmingham at 01:30 and via Derby made good time to Kennacraig and Islay. By the time we arrived the weather was turning and most of the day’s events were done, but we found time to pop into Laphroiag and Lagavulin to make a few purchases and enjoyed some brief chats with Colin and Andrew before finding out accommodation just outside Bowmore. Tonight will be a quiet one, with both Bruichladdich and Laphroaig to visit tomorrow morning and evening as we start the festival properly. 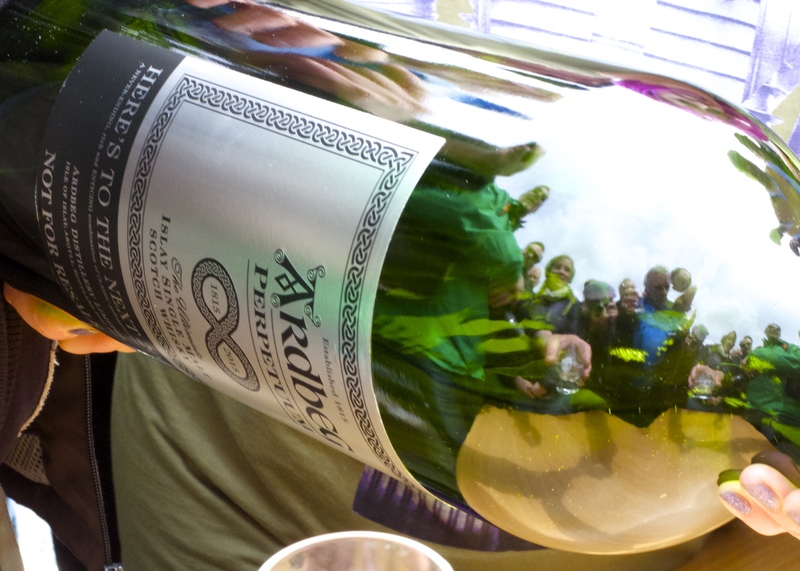 Still we couldn’t leave you without any notes from today so here’s some thoughts on Ardbeg’s festival release – Perpetuum. A cracking whisky to celebrate Ardbeg’s 200th anniversary. Lots of flavour with dirty peat and masses of meat. Nose: Coastal and oily with sweet, classic Ardbeg notes. Lots of espresso and wine gums before the peat fights through. charred meats, paprika and chorizo complete the experience. Palate: Chili hot, cocoa, anniseed, and bbq meat fat. The mouthfeel grows over time becoming cloying and spicy. It’s a touch bitter with slightly dirty peat. I like it a lot.